You choose the car, we do the rest. If you receive the Higher Rate Mobility Component of the Disability Living Allowance or the War Pensioners' Mobility Supplement, getting a new car is easier and more affordable than ever. Through Motability, you simply turn part or all of that allowance into the car of your choice. ​Our worry-free policy continues right to the end of your three-year lease with a seamless transfer to your new car. What's more, you can choose from over 4,000 cars - no wonder 97% of our customers would be happy to recommend us. Some customers may prefer to buy their own car, in which case a Hire Purchase lease might be for you. If you choose Hire Purchase, you negotiate the actual purchase price with your Motability dealer. With Hire Purchase, you will also be responsible for organising and paying for comprehensive insurance, breakdown recovery, your car tax disc, servicing and repairs. If you choose to buy a car with a Hire Purchase agreement, you will need to be receiving the allowance for the full length of your agreement. Wheelchair Accessible Vehicles – widely known as WAVs – are vehicles that have been converted so that you can travel in them while remaining seated in your wheelchair either as a passenger or driver. WAV agreements are usually for five years and you get a mileage allowance of 100,000 miles over the course of the agreement. We are committed to offering affordable solutions across our range of WAVs. All WAVs have room for at least one other passenger as well as the wheelchair user and driver. Some models have more seats, so if you travel with a lot of people there will still be a WAV for you. A few even have room for more than one wheelchair. If you need a vehicle with a particular specification of features and you can't afford it, Motability may be able to help. 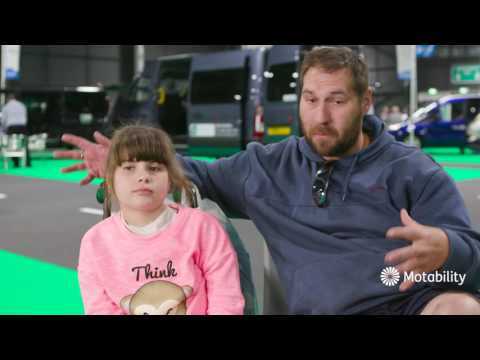 Motability administers the Government's Specialised Vehicles Fund which provides financial help for disabled people who need a converted or heavily adapted vehicle, including WAVs. The amount of any financial help will depend upon your personal and financial circumstances.